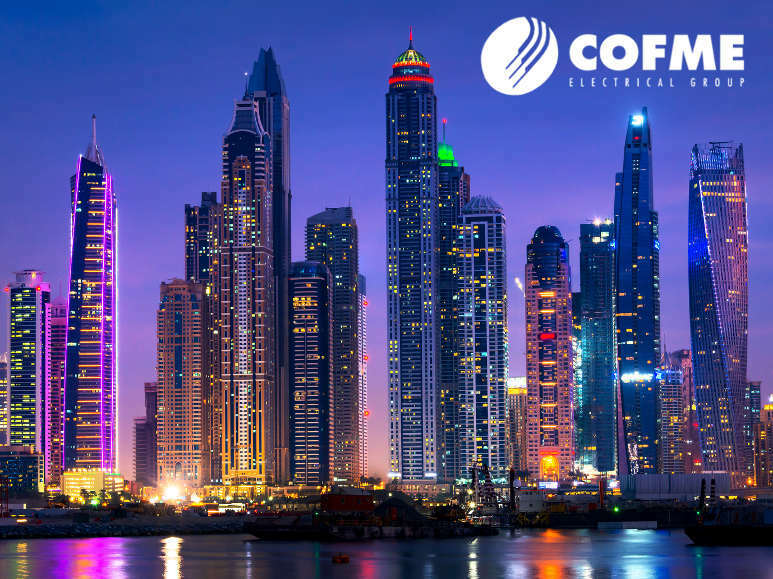 COFME’s commercial action began with the 21st edition of Intersec, held at the Dubai International Convention and Exhibition Centre between 20 and 22 January. COFME was present at the stand of FERMAX, specialist in Access Control, which presented its new products. This initiative corresponds to a commercial prospecting plan in the international market for 2019. It will continue to attend other international events and events, with a view to Expo 2020 to be held also in Dubai between October 2020 and April 2021. Intersec 2019, the leading trade fair in the security sector in the Middle East, has been divided this year into 7 areas: Commercial Security, Fire & Rescue, Safety & Health, Homeland Security & Policing, Perimeter & Physical Security, Cyber & Information Security, and Smart Home & Building Automation. The event took place in an area of 59,000 sqm, receiving more than 1,200 exhibitors from 54 countries and hosting 15 national pavilions: Canada, Czech Republic, China, France, Germany, Hong Kong, India, Italy, Korea, Pakistan, Russia, Singapore, Taiwan, United Kingdom and USA. According to analysts at 6WResearch, the well-known consulting firm specialising in niches and emerging markets and BI, the combined market for the seven areas mentioned is worth 14500 million dollars and is expected to grow by 13.5% annually over the next six years. Saudi Arabia and the UAE account for approximately 60% of this market.